Boy oh boy it's hot. We moan when it rains and we moan when it's too hot! 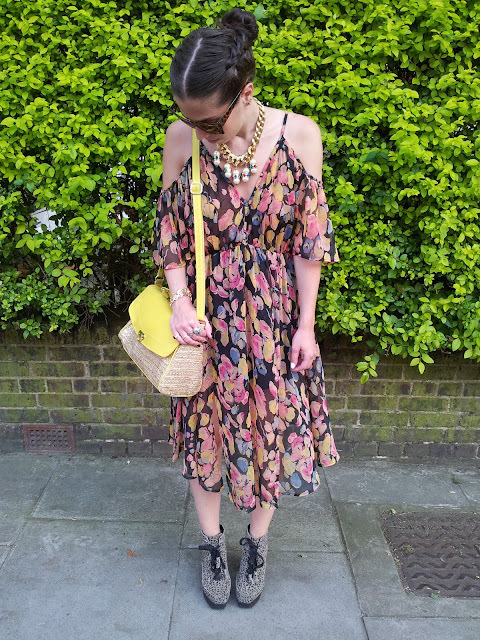 This dress was the only appropriate thing to wear today as it's so light and floaty and airy. 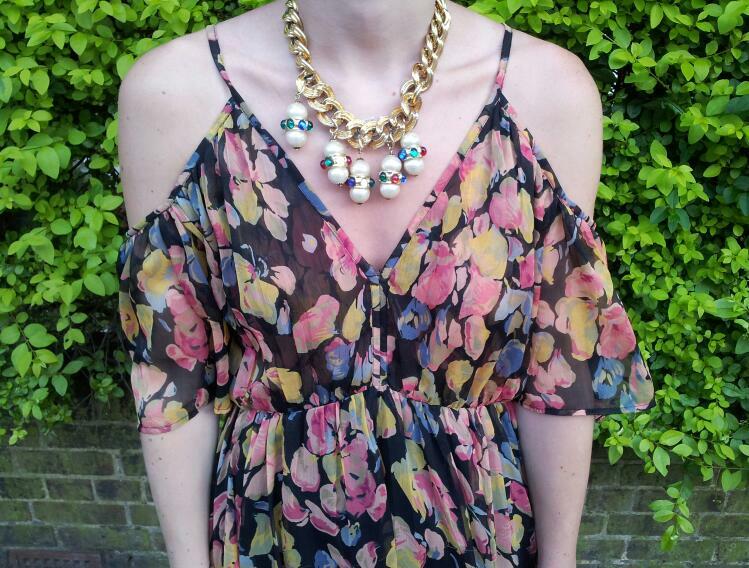 I love the cut out shoulders and it has two splits up on the front. Dress: Topshop. 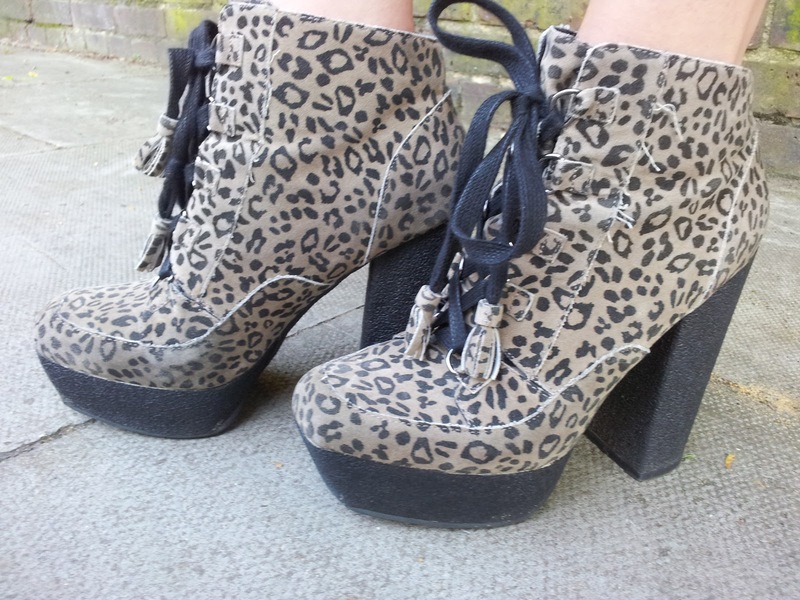 Leopard boots: ASOS. Bauble necklace: Boutique by Susan Caplan. Lime bag with gold weave: H&M.